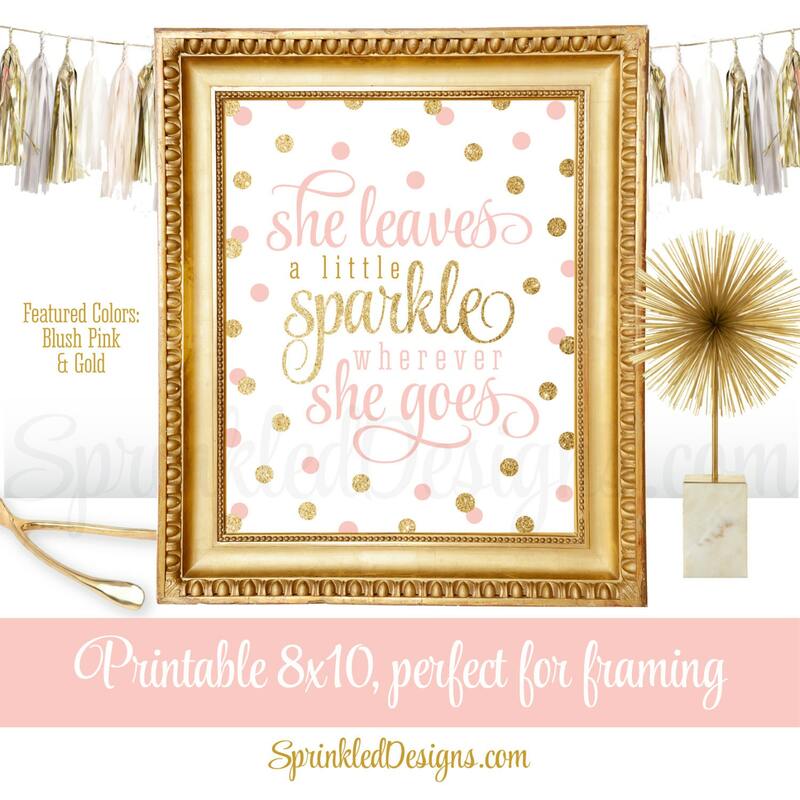 This listing is for a non-customizable 8x10 high resolution printable JPG file in BLUSH PINK & GOLD GLITTER, featuring the quote "She Leaves A Little Sparkle Wherever She Goes." This image is ideal for printing at your local photo lab & framing in your little one's room, or as a decoration for a party or for your home. This came out perfect for my daughters birthday decoration! Love!